Talking to engineers evaluating our software has made it apparent that many people think that all mesh generators use an underlying geometry that is discrete in nature, when in fact Pointwise can import, manipulate and mesh the two basic geometry types: analytic and discrete. Analytic geometry defines curves and surfaces with mathematical functions. Specific points in space are then retrieved by evaluating these functions. Non-uniform rational basis spline (NURBS) curves and surfaces form the foundation of the most common analytic geometry representations. In contrast, discrete geometry (also known as faceted geometry) describes a shape as a mesh – discrete points usually connected to form triangles. It's important to note that analytic geometry has effectively unlimited resolution, but discrete geometry is limited to the resolution of the point density used to describe the shape. In other words, you can evaluate a NURBS surface anywhere and get coordinates that lie on the surface, but when you evaluate a discrete surface, you get a shape defined by linear interpolation between the known discrete points. Although in principal it may be possible to create a high-order interpolation between the discrete point locations to recover some curvature, there is no known format that supports this type of discrete geometry and a higher-order fit would not necessarily precisely reproduce the true shape of the geometry. Analytic geometries imported into or created in Pointwise are treated internally as true analytic geometry to take advantage of its unlimited resolution. Pointwise allows both analytic and discrete geometry to co-exist in the same mesh, so you can combine geometries from multiple sources. An analogy to geometry representation is digital image representation in which images can be described analytically with vectors (e.g. PostScript) or discretely with raster graphics (JPEG, PNG). The resolution of a vector-based image does not change with zoom, whereas a raster graphics image has a fixed resolution. At normal magnification, the vector version and raster version of the bottle on the left of Figure 1 look the same. Magnifying a corner of the label to 7x clearly illustrates the differences between the image formats. 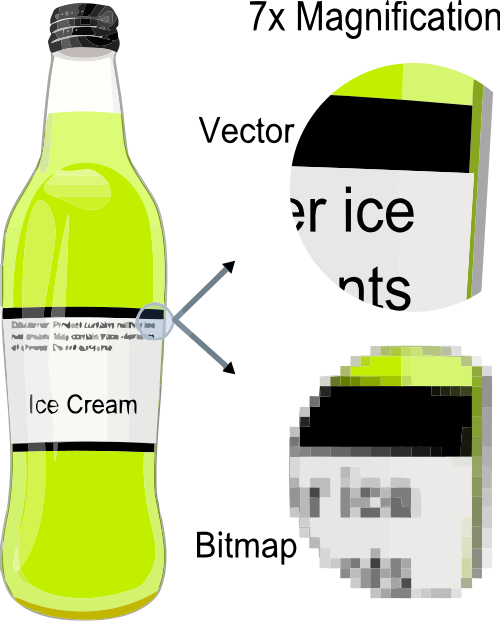 Figure 1: The differences between vector and raster image formats are a good analogy for the differences between analytic and discrete (bitmap) geometry. Image from Wikipedia. The important point this analogy makes is that the resolution of discrete geometry cannot get better, whereas analytic geometry has the ability to work at any resolution. The consequence of using discrete geometry for CAE meshing, as it makes no sense to create a mesh resolution finer than the discrete representation, it represents the upper bound on the CAE mesh resolution. Analytic geometry provides no such restriction. Why two different ways to represent geometry? Similar to vector-based images, the precision (i.e. resolution) of analytic geometry is only constrained by the precision of the CAD system that generated it. This makes analytic description the ideal candidate for design-to-manufacturing processes, as every step in the process may require different precision. Another attractive attribute of analytic geometry is the enormous control of the shape a mathematical description allows. The NURBS definition enables a great deal of flexibility by only defining the location of the boundary points and using control points with slope definition to define the internal shape of curves and surfaces. The NURBS curve shown in Figure 2 illustrates this concept where the curve shape is not explicitly defined by the four internal points but by slope definition. Figure 2: The shape of a NURBS curve is defined by control points and a mathematical function. Analytic geometries are typically constructed in CAD systems, such as Pro/Engineer, CATIA, NX, SolidWorks, and many others. Modern CAD systems also typically introduce topology information. Topology describes how a collection of surfaces can be logically arranged and connected to represent something more meaningful. For example, with topology information, six square surfaces can be used to define a solid cube. There are, however, a couple of drawbacks to analytic geometry. First, it can be computationally intensive to process and modify. Second, there are many different formats, typically specific to the CAD package that created them, and translating among formats can be error-prone and imprecise. Topology introduces additional drawbacks related to the tolerance with which curves and surfaces are defined to be adjacent. Table 1: Pros and cons of the two geometry representations. The alternative – discrete geometry – represents the geometry with fixed locations and connects them most commonly with triangles. In effect, discrete geometry is a mesh. Discrete geometry is most commonly found in reverse engineering and rapid prototyping situations. 3D scanning machines analyze the surface position at thousands or millions of locations, enabling the construction of a discrete digital model. Stereolithography is the process of fabricating solid components using an additive manufacturing process. These processes create and use discrete geometry, respectively. Discrete geometry can also be a preferred alternative for someone who wishes to avoid analytic geometry's drawbacks. But discrete geometry comes at a price too. Having a fixed resolution can be limiting for design and manufacturing. For example, if an insufficient number of points are used to define a fillet when milling a piece of metal, the fillet will not look round but may have a crinkly look. As fillets are commonly used to reduce stress concentrations in structurally important components, introducing sharp corners would negate the benefit of the fillet. Figure 3: Feature recovery is difficult on the Stanford bunny, a common 3D discrete test geometry, represented as a single faceted surface. Discrete geometry can also be difficult to manipulate because the surface relationships and topology are not recovered during reverse engineering and are lost when converting from analytic representations. For example, the Stanford bunny (Figure 3) is represented by a single faceted surface. The main benefit of discretely defining the geometry is speed. It is, in fact, so fast to use, it is the representation that is used for video game and movie rendering. The surfaces are represented as triangles to which colors, lighting and textures are applied, enabling the photorealistic look to which we are accustomed. Because triangles are trivial to define, it is straightforward to create algorithms that can manipulate them very quickly. How does this affect meshing? In Pointwise, both analytic and discrete geometries can be used as a basis for creating a mesh. Analytic geometry can be imported using many common CAD formats, such as IGES, STEP, Parasolid, ACIS, CATIA V4/V5, Pro/Engineer, NX and SolidWorks. Discrete geometry can be imported using the STL and VRML formats, as well as a few additional mesh formats that can be converted to discrete geometry. Pointwise has tools that help remedy the drawbacks of working with both geometry types. As mentioned previously, Pointwise can read a variety of open and proprietary analytic CAD formats. The ability to read native CAD formats is enabled by implementing 3D CAD I/O libraries from CT Core Technologies. The goal of native CAD import is to minimize errors in data exchange. Beyond the native CAD import, Pointwise utilizes a geometry kernel that is customized for the needs of CAE geometry analysis. The customized geometry kernel is designed to be both fast and efficient for analytic geometry manipulations. In addition, Pointwise's solid meshing suite of tools that includes modeling and quilting helps users work with analytic geometry more easily. The modeling feature can not only repair gaps and overlaps in imported models but also can create models where there were none to begin with. The counterpart to modeling is quilting, which allows grouping of surfaces within a model for the purpose of recovering in the mesh the engineering intent of the model and for streamlining the surface meshing process. The big drawback to meshing on discrete geometry is the lack of topology. Topology is useful for meshing to guarantee that key features of the geometry are adequately resolved in the final mesh. A classic example is trying to capture a sharp corner in the geometry. Without topology information, the mesher does not know the corner should be preserved and grids lines may run across the corner, giving it a jagged appearance. As discrete geometry rarely contains topology, recovering it can be challenging. Pointwise provides a feature extraction tool for recovering topology from discrete geometry. 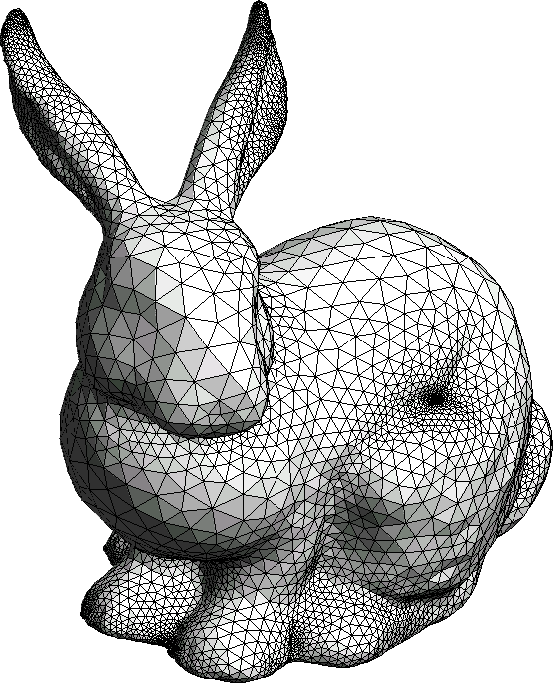 This tool depends on relative turning angle between adjacent facets, a somewhat dubious geometric measure for scanned data which commonly contain surfaces with few defining features (refer to the Stanford bunny in Figure 3). The second and, perhaps, more notable drawback is that because the resolution of the geometry is fixed, under-resolved regions can pose problems with no recourse but to return to whatever method was used to create the original geometry in an attempt to increase its resolution. An example of this is shown in Figure 4. An STL representation of a high-aspect ratio wing has a severely under-resolved cross section near the tip, especially at the leading edge. With only 11 points defining the airfoil cross section, creating a mesh with a finer resolution than the geometry offers no benefit. A detailed CFD analysis would be largely a waste of time on this geometry (unless you weren't concerned about accuracy). If the analyst had no ability to improve the resolution of the discrete geometry, a potential solution might be to create high-order interpolation between the discrete points instead of linear one. This approach would reintroduce curvature to the geometry, albeit with no relationship to the curvature in the defining surfaces. 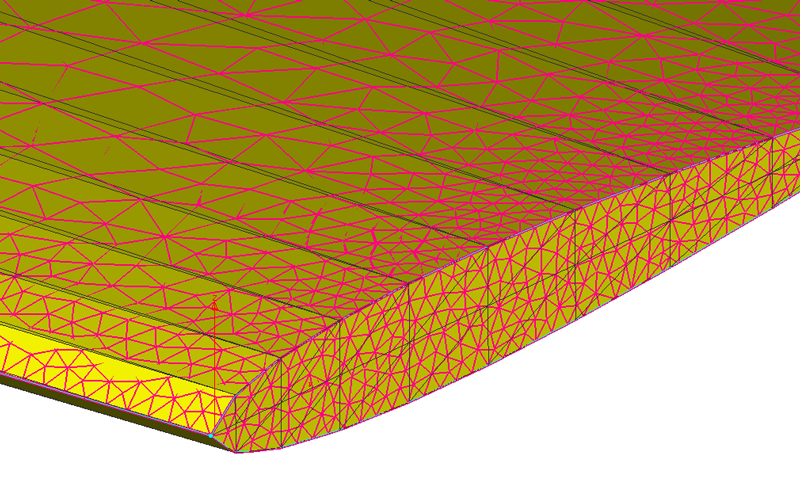 Figure 4: The drawback of discrete geometry is demonstrated by the mesh (magenta lines) on an under-resolved STL (yellow with gray lines) representation of a wing. Although discrete geometry representations have their use, analytic geometry representations are generally superior for design and manufacturing processes. This is particularly true for computer aided engineering (CAE) applications, which place high demands on geometric precision. Unless the CAE analyst has tight control over the discrete geometry's resolution, design decisions made from analyses on the discrete representation may not accurately represent the manufactured component or system. Pointwise can import and mesh on both types of geometries. However, there are more tools available for meshing on analytic geometry. Extra care must be taken when using discrete geometry to ensure important topological features are preserved in the mesh and that adequate geometric resolution is obtained.